I’m not sure why I write these beer reviews since so few people read them. In fact, I think I’m reaching a point where I can’t think of anything truly creative to say about beers that seem essentially the same to me. In the case of today’s review, Spaten Oktoberfest, it’s extremely similar to other beers of the style. I don’t mean this to imply Spaten is a bad beer, it’s quite good, actually. But how can I write an original review of a product that doesn’t seem particularly unique to me? Much like other beers in the Oktoberfest style, especially the authentic German beers brewed in Munich, Spaten pours to a dark amber/copper color and is crystal clear. There is a lot of noticeable carbonation upon the initial pour but eventually the body calms down to the point of being completely tepid. The head is very small, just a thin layer of off-white foam that dissipates quickly and left no lacing on the glass. The aroma is a scent of malts that is soft and sweet. Here’s the part where I copy and paste my reviews of other German Oktoberfest beers (just kidding). While it’s true that Spaten is reminiscent of Paulaner and Hacker-Pschorr, I’d say it’s the mildest tasting of the three. The flavor is a well-balanced mixture of sweet malts with a subtle caramel taste. The presence of spices is noticeable, but equally subtle. In fact, the only problem with Spaten may be that it’s a little too mild. Even though it doesn’t saturate your palate with any particular flavors, it has a great overall taste that really satisfies. One thing about them I like about Oktoberfest beers is their extremely smooth finish and Spaten is no exception. Drinking this beer is as easy as drinking a glass of juice or water. Since the liquid itself is so tepid and there is no spiciness to the palate, it finishes clean as a whistle. 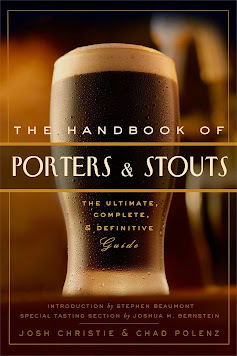 Another attribute I must give to these beers is although they are generally dark and higher in alcohol by volume than your mass market beers, they don’t drink like the medium body beers they are. Spaten is nice and light for a dark beer and would compliment a meal or work as a beer to be savored on its own. It is 5.8% ABV and probably has less than 200 calories, but it drinks like a much lighter beer. So much so that any Joe Six Pack could easily empty a few bottles of Spaten without feeling overwhelmed or bogged down. I have tried so many Oktoberfest beers lately I think I may have made a mistake drinking them all back-to-back. I might be losing my ability to discern between good and great beers. A part of me wants to give Spaten Oktoberfest the highest rating possible because I can’t find a flaw with it, but it doesn’t blow me away like other beers I’d consider outstanding. Still, it’s much better than its American counterparts and I really enjoyed drinking it, so it must be doing something right.